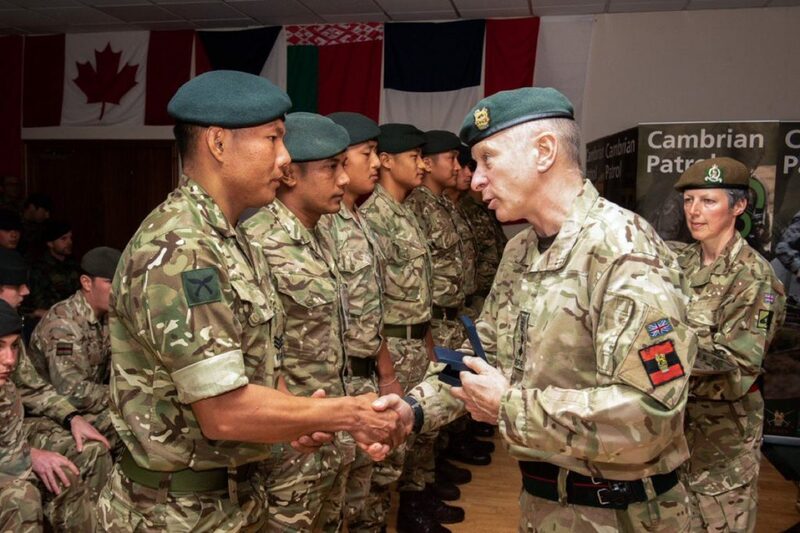 With the weather firmly against the teams in this year’s Cambrian Patrol the Gurkhas once again dug in deep and secured a number of medals. 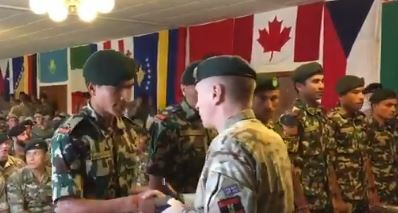 The exercise is unique, world class and the largest of its kind with some foreign entrants having to claim the right to take part in the UK by winning through their own domestic competition. Exercise Cambrian Patrol itself began in 1959, when a group of Welsh Territorial Army soldiers designed a weekend training event, featuring long distance marching over the Cambrian Mountains, culminating in a shooting match on the Sennybridge Training Area. This year there were 132 patrol taking part in, among them 33 International Teams. Storm Callum hit Wales on the first weekend of the Patrol causing flooding, landslides and road blocks which has resulted in the cancellation of the first phase patrol to all. The Second phase of the Patrol was stopped after almost nine hours on the first day due to the worst weather condition. We would also like to congratulate the Nepalese Army team on their fine achievement on securing a Bronze Medal. The team has been in the UK training with the Brigade Training Team. 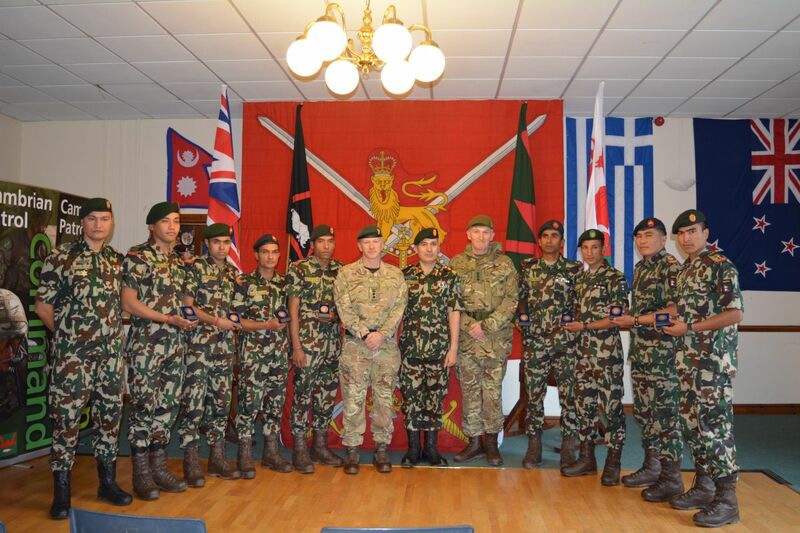 After their success they were invited to visit the headquarters Brigade of Gurkhas to be congratulated on their success by the Colonel Brigade of Gurkhas. And the 2/8 Gorkha Rifles – Indian army for achieving an excellent Silver Medal. We will post updates on this webpage for all the Gurkha prize winners.